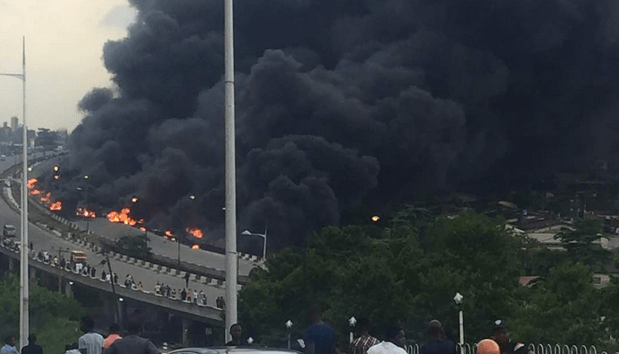 Breaking News: Otedola Bridge Accident claims over 50 Vehicles, Unknown Number of Lives. 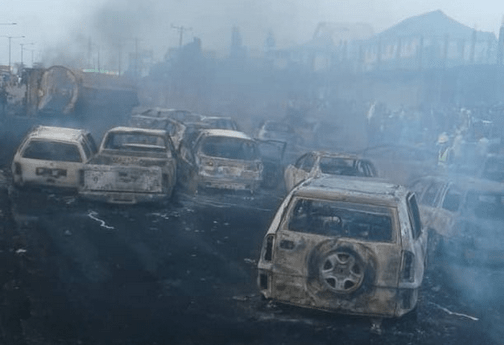 A tragic news coming out of Lagos, Nigeria has it that over 50 vehicles with yet-to-be identified number of humans held in traffic were reportedly burnt to ashes after a fuel tanker caught fire at the Otedola roundabout axis of Lagos Ibadan expressway. 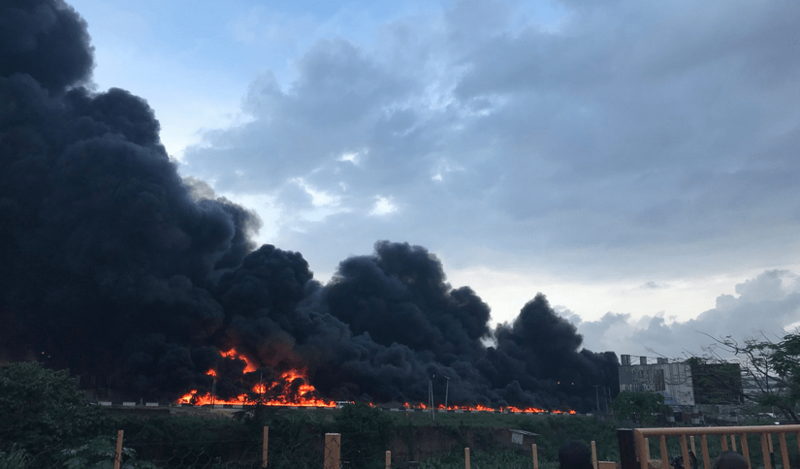 The tanker which allegedly had break failure while fully loaded with Premium Motor Spirit PMS immediately caught fire on the Otedola Bridge resulting in an accident that claimed multiple lives and properties while bringing traffic to an abrupt halt in the ever busy Lagos Ibadan express way. Picture images from the accident scene tells a tale of horror and sorrow. A short video clip from the accident scene shared by a twitter user can be viewed below. This is not the first time an accident of this magnitude have occurred along that axis of the road and majorly caused by large trucks plying same road with smaller cars. Historically, over the past ten years, similar incidents have repeatedly occurred yearly while claiming the lives of many. The large and long vehicles mostly causing these accidents are usually poorly maintained with next to no safety rules obeyed which has resulted to many avoidable deaths across major and minor inner city roads in Nigeria.